Would you like help spelling simple or complex words? Easy Spelling Aid is what you’re looking for. Easy Spelling Aid & Easy Dyslexia Aid is what you’re looking for. Do you need to translate words to and from English, or other languages? Are you learning how to read and write? Easy Spelling Aid empowers you to independently spell words and phrases. Easy Spelling Aid is the winner of the Academics’ Choice Smart Media Award for Mind-Building Excellence. 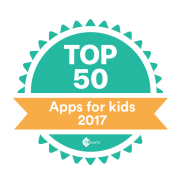 Easy Spelling Aid is a top app for kids in 2017. 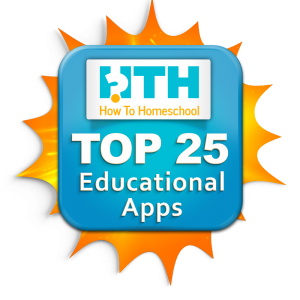 Some of the best educational apps around to keep kids learning in 2017! Tap Done on the screen to end speaking and the app will process the word or phrase and display the results. Do you need to translate words to and from English or other languages? If you answer yes to any of the above, then Easy Spelling Aid is what you’re looking for. Easy Spelling Aid gives children and adults alike a quick and easy way to find out the spelling of a word, translate words to and from English, or other languages, and helps dyslexic learners with specific cognitive difficulties with the aid of the ‘OpenDyslexic’ font and colour overlays. Through this compelling educational app, young students everywhere are starting to enjoy the benefits of self-directed learning by not having to wait for help from parents or teachers, which is a big plus. Easy Spelling Aid is suitable for students of all ages, from 5 to 55 and beyond and is recommended by teachers for use individually or in a classroom setting. 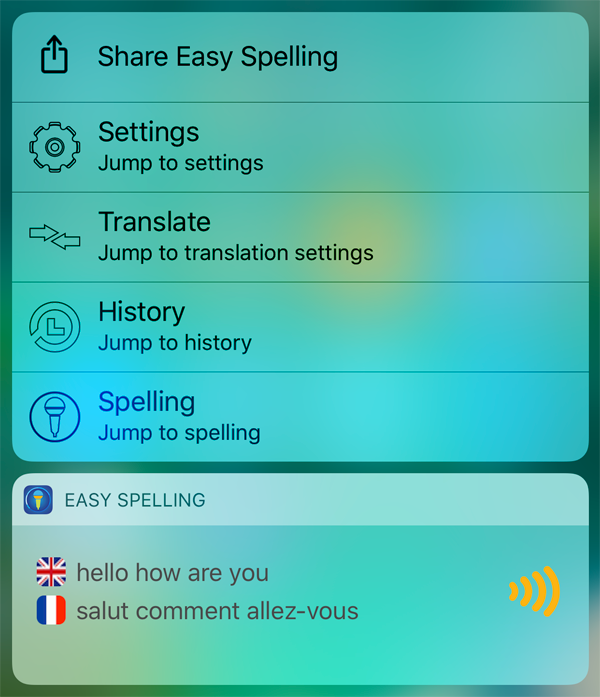 Easy Spelling Aid boasts superior, accurate and incredibly fine-tuned speech recognition and translation service in multiple languages, including English, Chinese, Spanish, French, German, Italian, Japanese and more. Upon opening the application you are presented with a clear blue user-friendly interface. The instruction ‘Touch mic & talk’ is displayed above a circular mic symbol. 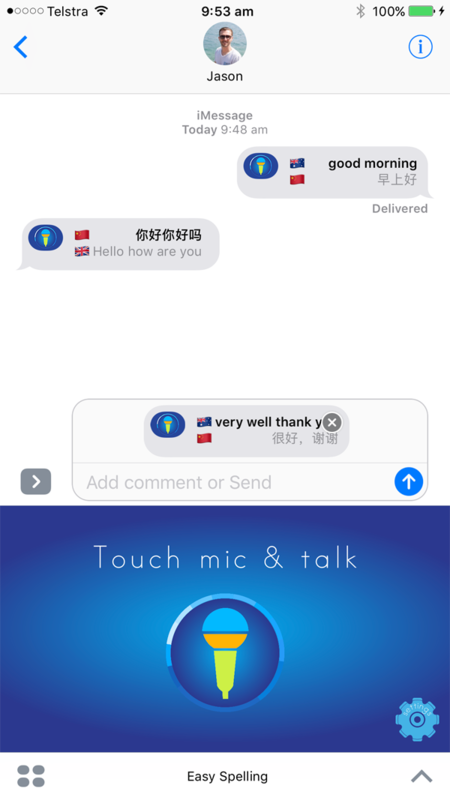 On touching the symbol, you are asked to ‘Talk.’ By pressing done the app will process what has been said and proceed to produce your input displayed in your chosen writing style. This feature can be changed in the Settings, which are also easily navigated to from the main screen. Additionally, within the Settings, you can change between multiple languages, select translation language, reverse translation, select a background, select a dyslexic option, display upper and lower case letters and turn off speech output if you wish. Easy Spelling Aid also features a History Log, which saves spelling results including translations. Peace of mind is at ease as there are NO ads, in app purchases and its child friendly – profanity is filtered out. There is NO third-party advertising, in-app purchases, external links and profanity is filtered out. Choose a writing style: Victorian Modern Cursive, NSW Foundation Manuscript, QLD beginner, SA Beginner, TAS Beginner, NZ Basic Script, Jarman, UK Cursive, US D’Nealian Manuscript, US D’Nealian Cursive, New Athena Unicode and Noto Sans. Results screen vertical scrolling – suitable for long phrases (Android ONLY). A History Log – saves entire spelling results, including translations. Results are displayed with the corresponding language flag icon. Works offline – results are saved to the device. Easy Spelling Aid user interface is now localised in 26 languages with automatic language region selection. Easy Dyslexia Aid scores 5 stars in the EAS Certification. 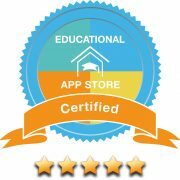 We have just received the results of the curriculum review and our app has made it into the Teacher App Library (TAL). An Educational App Store teacher also created an applan, as they call it, which is a plan for teachers and schools who download the app to have an idea of how it can be used. It is a feature that is very much liked by the teachers and schools as it helps them a lot. Easy Spelling Aid is now available in the Chrome Web Store. This is only compatible with Chrome OS operating system. iMessage integration: Generates a custom message bubble of the spelling with or without translation. Interact with Easy Spelling Aid directly within Messages without leaving a conversation. Instructions: Open Messages, create a new message or tap on an existing conversation. Tap the grey App Store icon, then tap the icon in the lower-left corner to open the app drawer. Select Store, Manage apps and select Easy Spelling. Easy Spelling Aid & Easy Dyslexia Aid are available in a bundle: Easy Aid Bundle. The perfect tools for writers of all ages. Get it Now! When you get to a word you can’t read, you spell it out, and it reads it back. Only available when selecting English US. A copy/define/share function for spelling results. Copy and paste you spoken word or phrase directly into another application. Alternatively share will open the activity popup displaying the available apps for immediate pasting. The define function prompts the device dictionary to open, displaying a definition of the highlighted word. Easy Spelling Aid includes a revolutionary Translator supporting multiple languages and Reverse Translation option. The Reverse Translation option is very handy and quick when communicating in another language. Simply select the Reverse Translation button to reverse the selected languages. Easy Spelling Aid includes a History Log that automatically saves spelling results, including translations. With the addition of the Easy Spelling Aid Translator and History Log, Easy Spelling Aid is now the perfect learning and travel companion for students of all ages, from 5 to 55 and beyond! Generates a custom message bubble of the spelling with or without translation. Interact with Easy Spelling Aid directly within Messages without leaving a conversation. Show recent spelling, translations and quick links for easy access. Quick links include: Spelling, History, Translate and Settings. One of our directors introduced the idea to the team during our weekly meetings. He said, “Over the weekend a second cousin whom is 6, came to visit. He was writing out a food list and asked how to spell pizza and french fries.” He was inspired and decided to search the App Store for an App that enabled a child to use his voice to spell a word or phrase. To his surprise there was no app specifically designed for a child that offered simple speech to text recognition. Our team decided to pursue the idea and Easy Spelling Aid continues to grow and improve. Assist with spelling and literacy. To gain the attention of all adults, parents, children and school systems with the purpose to assist with spelling and literacy. Friendly colourful display inspired by an ice cream cone. We wanted to create a friendly colourful display to attract a child while keeping the writing display as close match to writing on paper and school curriculum. The design behind the microphone with the balance of colours and shape presentation was inspired by an ice cream cone. Helps dyslexic learners with specific cognitive difficulties with the aid of the ‘OpenDyslexic’ font and colour overlays. 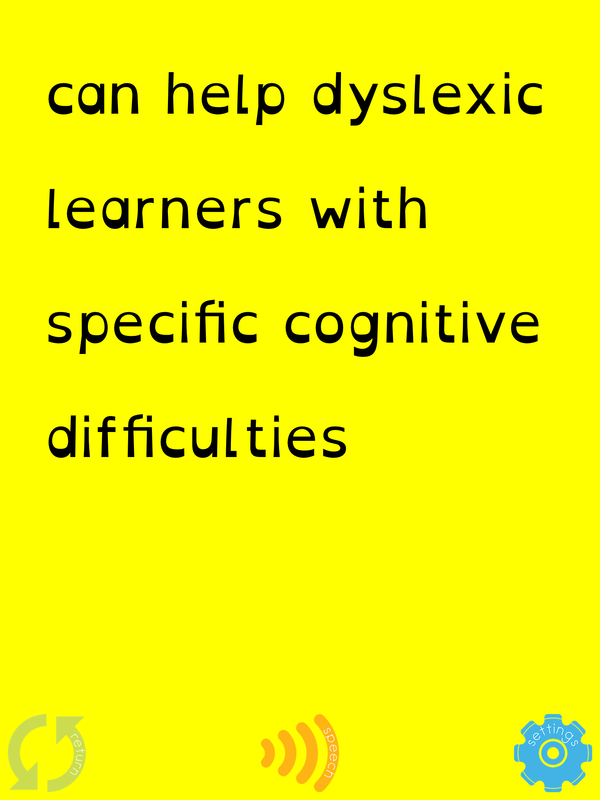 The OpenDyslexic font has been created with letters using heavy weighted bottoms to indicate direction and to reinforce the line of text, which aids in recognising the correct letter, and sometimes helps to keep the brain from rotating them around. The OpenDyslexic font is displayed in a choice of 8 colour overlays, as a means to accommodate users suffering from dyslexia and improve readability. “I have purchased your app and my daughter (11yo who has Dyslexia) has told me how beneficial she is finding it. I have recommended it to several colleagues who are excited to use it with students they know having difficulties with Dyslexia and Dysgraphia. I have also recommended it to my daughter’s classroom teacher as a means of assisting my daughter (and others) who struggle with writing and spelling. Tap Done on the screen to end speaking and the app will process the word or phrase and commence spelling. Or the app will automatically detect end of speech and process the word or phrase and commence spelling. Select the orange speech icon to repeat speak text, select the green return icon to start over or select the blue settings icon to change the settings. Select the blue history log icon to view the previous results. Select to view a result or swipe left to delete. To start translating, select translation language and then select the language from the available languages in the drop-down list. To reverse the translation languages, select the reverse translation button. Select a translation language from the available languages in the drop-down list. Select a writing style from the available styles in the drop-down list. Select a background from the available backgrounds in the drop-down list. Note: When the dyslexic option is selected, writing styles and backgrounds are not supported. The app supports multiple languages. We recommend the writing style Noto Sans as it is designed with the aim of achieving a harmonious look and feel across multiple languages. Easy Spelling Aid requires network connectivity (WiFi, 3G, 4G or GPRS). Easy Spelling Aid is designed for iOS (iPhone and iPad) and Android (Phone and Tablet). To turn on microphone close the app and select the device Settings icon (iPhone or iPad). Scroll down and locate and select Easy Spelling and turn Microphone and Cellular Data on. Not to worry, to turn on microphone close the app and select the device Settings icon (iPhone or iPad). Scroll down and locate and select Easy Spelling and turn Microphone on. “Such a wonderful aid to use in my therapy sessions across a range of issues including fluency, articulation, language, literacy and pragmatics….I am sold!! !